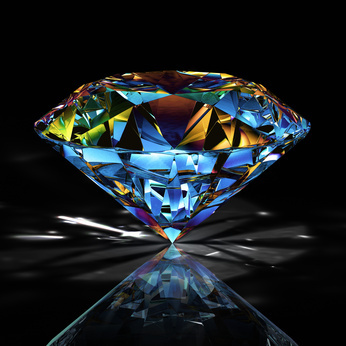 Welcome to Novel Gems ~ Killing Secrets 08-21-12! Rachel James and her daughter are hiding from her ex-husband at Patrick’s parents’ house where she’s housesitting. He lives in the Victorian next door and runs his construction business from the first floor. Rachel’s little girl has been befriended by Patrick’s office manager’s five-year-old granddaughter, Suze. The children run in and out of Patrick’s office because Suze has a playroom upstairs in his home where she plays while her grandmother works, but Rachel has never met him. He’s out of town when she arrives and she has the impression from a picture that he’s 18-years-old. In this scene the children have come to Rachel to ask her if she’d like to join them in the playroom for a tea party. “Gramma” was Suze’s grandmother, Jane Brown. The older woman worked next door as office manager for Evelyn’s son and had accompanied her granddaughter over that first day to make sure it was all right for the little girls to play together. Thankfully, the big boss hadn’t tagged along. Try as she might, Rachel couldn’t get over her one unnerving glimpse of Patrick Thorne. His mother had pointed out the eighteen-year-old wearing an army uniform in a family photo when she’d shown her around the house, telling Rachel she could count on him for anything while they were in the Virgin Islands. She’d promptly forgotten the young man with the goofy grin holding rabbit ears over one of his brother’s heads…until he’d walked out of his back door Sunday night to toss a couple of bags in the trash. She wasn’t prepared for the man in the flesh. He was at least ten years older than she’d expected, maybe more, a virile man in his prime that drew a woman’s gaze and made her forget the necessity to breathe. With one look her heart hammered too hard for comfort. She’d felt an overwhelming urge to sneak off the side porch where she’d gone to calm her restless thoughts, and lock all the doors behind her. She avoided most men these days. If they exuded a blatant masculinity that made her pulse skitter, she ran in the opposite direction quicker than a wind devil on a Texas prairie. Rachel would have bolted, too, if she’d thought she could move without alerting him to her presence in the protective shadows. Left with nothing to do but watch the shirtless man walk through the moon-washed night, she’d allowed herself the pleasure. His naked chest and back, broad and muscular above the waistband of his jeans, gleamed in the moonlight. Tight abs and powerful legs carried him across the backyard with an almost feral grace. His biceps barely straining under the weight of two thirty-gallon trash bags, there was no question the man’s occupation had made him fit. Raw power in motion. “You have to ask him,” Rachel corrected. It was a struggle to visualize the man perched on a tiny seat at the child’s tea table wearing his construction helmet, pinkie raised, a fragile porcelain teacup cradled in his hand. No. The muscular contractor oozed testosterone. She’d recognized it Sunday night from yards away, felt it right down to her bare tingling toes. Patrick Thorne would be more at home in the overtly masculine surroundings of his building sites, or in a darkened bedroom, naked, tangled in damp sheets with a woman writhing beneath him. Her body flushed under the heat of the Colorado sun when she realized the woman she’d visualized beneath him looked too much like her. I like this. I’ll have to keep and eye open when this comes out. The book sounds good, Karen. I can’t wait to read it.